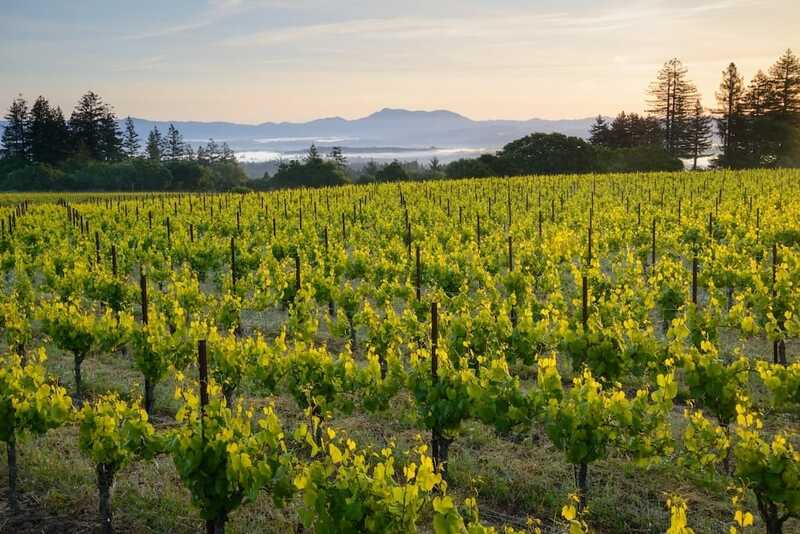 Our Estate Vineyard is located in one of the finest sections of the Russian River Valley and is also co-located in 2 additional AVA’s: Green Valley of Russian River Valley and Sonoma Coast. Dry farming sets us apart from our neighbors; the only water our vines receive is the rainwater that percolates into and is stored by the soil. We firmly believe that dry farming produces grapes (and ultimately wine) with better balance and more concentrated, unique flavors. Dry farmed vines also reflect the terroir more accurately than irrigated vines. Dry farming is great for the environment too. By not irrigating our vines, we’ll save millions of gallons of water over the life of the vineyard. While dry farming grapevines requires quite a bit of additional labor to manage each vine’s unique canopy, the results are more than worth the effort. William Knuttel has been making wine for over 35 years. Chances are you’ve tasted one of his wines, as he’s made them for iconic wineries such as Saintsbury, Chalk Hill and Dry Creek Vineyard. Bill has taken our Estate grown Pinot Noir to a place that far exceeded our expectations. The SP-SL Estate Vineyard bottling is made in the true Burgundian style: rich, layered, soft and surprisingly velvety. While it exhibits the full fruit and acidic backbone found in the finest Russian River Valley/Sonoma Coast Pinot Noirs, it also shows incredible balance and restraint. You will absolutely enjoy drinking it now, but if you give it a bit of time in the cellar it will continue to develop, improve and amaze. The Square Peg tasting room is located on our Estate Vineyard, just outside the picturesque town of Occidental. Our tasting room includes stunning views, warm hospitality and award winning Pinot Noir. In addition to offering an Estate Wine Tasting and Tour, the tasting room also features a Fine Art and Sculpture gallery.